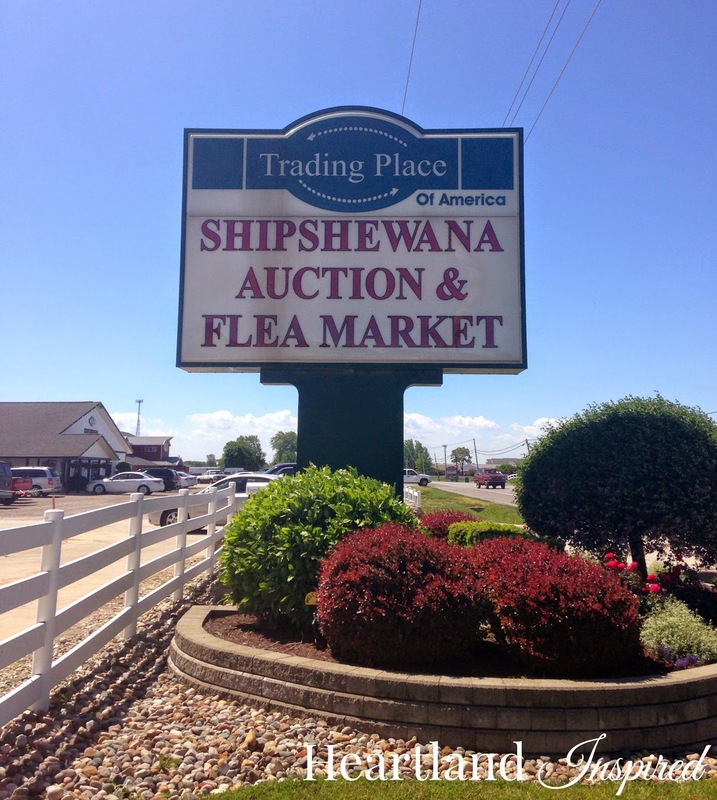 Be still my Midwestern heart...Shipshewana, Indiana. I LOVE this place. As soon as we drive into town, I feel more relaxed. This was really a quick trip out to the flea market. We didn't look in any shops in town and we didn't go to our favorite restaurant. Even with the shorter trip, it was still a good first trip of the season. Quite a few vendors have not set up shop yet, so there will be so much more to look at later on. Definitely a reason to go back, which probably won't happen until the day after Labor Day. Someday I am going to have to try and make a yummy chocolate peanut butter pie. It is something I get every time I go. After my kitchen is done (I have finally decided to bite the bullet and redo the kitchen), I will have to make a trip out to E & S Sales. This place is full of dry goods. They have a huge assortment of flours, spices and all kinds of other things. That will have to be a blog post all of its own. Until then, I will have to start making my list to stock my new cabinets!